Nagasaki Giant Cedar Tree located in the remote area of Isahaya countryside is not such a well known attraction of the locals. 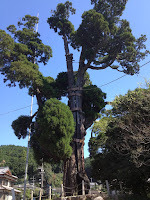 In fact if I asked 100 people in and around the area if they know where the largest Cedar Tree is in Nagasaki Prefecture I am absolutely sure they will have no idea that there is in fact a massive Cedar Tree here and if there was, where the exact location would be? 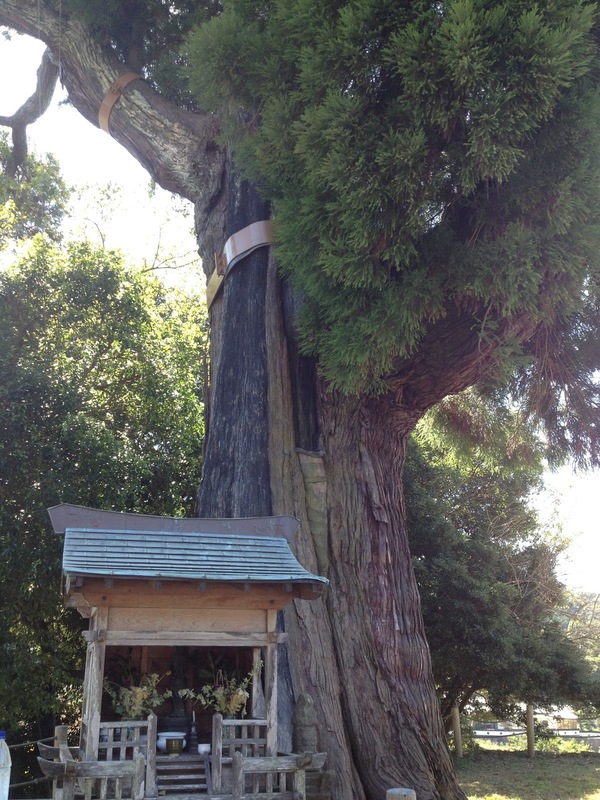 A small but interesting drive from the main road is the Nagasaki Giant Cedar Tree. 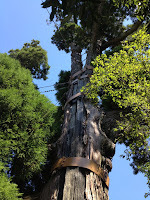 At first from a distance it doesn`t look anything impressive but gradually little by little as you inch closer and closer to the target the realm of the Cedar Trees real size becomes more evident. 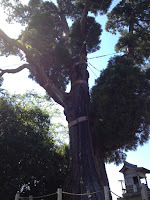 The branches and limbs are just enormous and the trunk of the tree is bigger than can ever be expected! The tree is so large that steel braces have had to be installed around the tree in order to create stability and reinforce strength where it is needed most. The massive pillar needs all the power it can get to support the incredible weight that is above it in the form of branches and leaves. 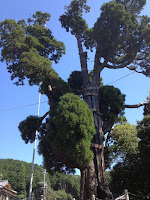 I had a great walk around the area, looked at the tree from every angle and I can tell you that each and every location was impressive and reinforced just how big and massive Nagasaki`s Giant Cedar Tree really is. 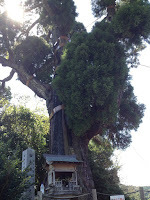 I know the photos below don`t actually do the location justice but you can see that the area is pleasant to walk around and enjoy all things nature.